Tending Sheep, Making Cheese: One week at Martin Txiki | eat. write. smile. 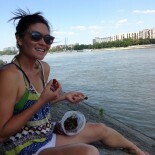 “It takes ten thousand hours of practice to master a skill,” Elisha reminded me. We were watching Tere, a veteran local cheese maker, cut the curds of sheepsmilk to make Idiazabal, the nutty cheese that comes from the hills of Gipuzkoa. The ten thousand hour rule is often quoted from Malcolm Gladwell’s book Outliers, in reference to how long it takes to become an expert in a given field. While watching Tere methodically craft round after round of cheese, I had to agree with the ten thousand hour figure; the woman knows her stuff. From January to September, she spends four hours a day- every day- making Idiazabal cheese. 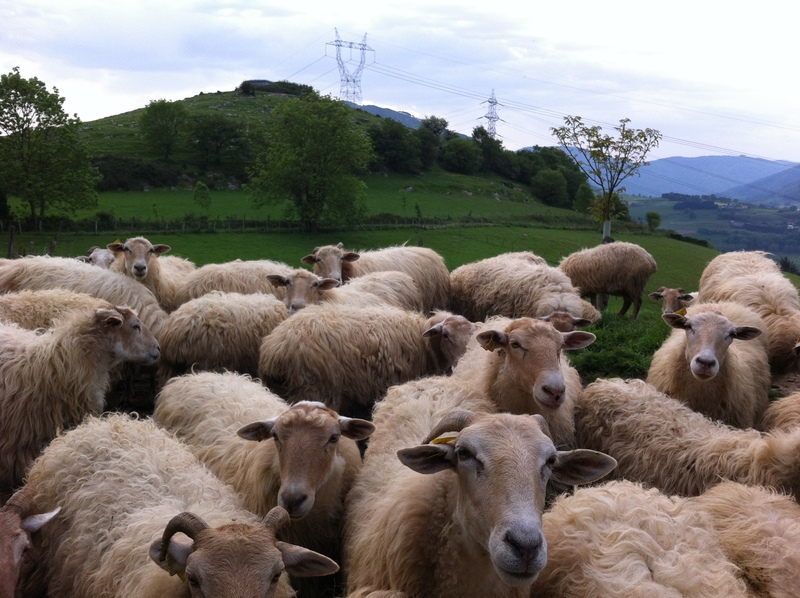 She and her husband Pedro have produced Idiazabal cheese from their family flock of Latxa sheep for twelve years. Some quick math shows that Tere has logged around 10,700 hours making cheese. When it comes to artisan crafts, practice makes perfect. See the whole process here. 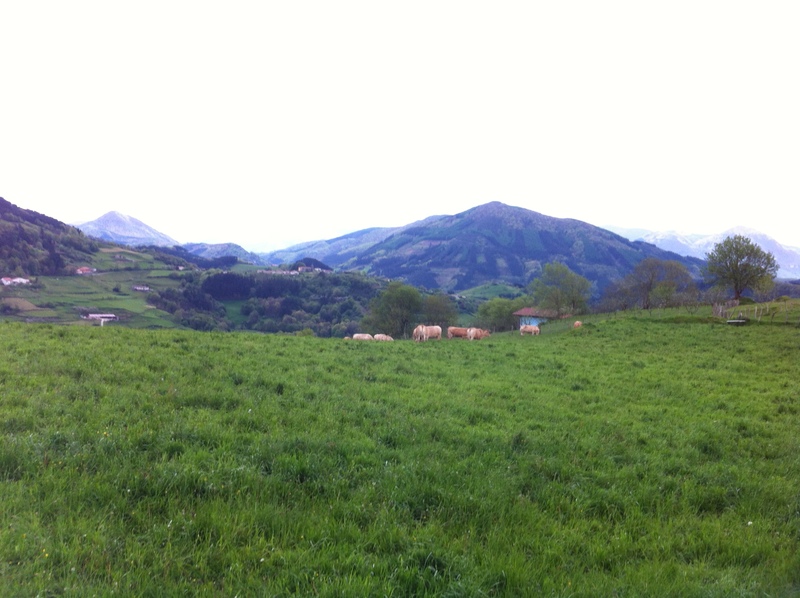 Elisha and I spent a week in May at Pedro and Tere’s family farm in the hills high above Tolosa. Martin Txiki, as the property is called, has been in Pedro’s family for three hundred years. The thick stone walls of family house, with the barn and cheese room below, have stood for just as long. 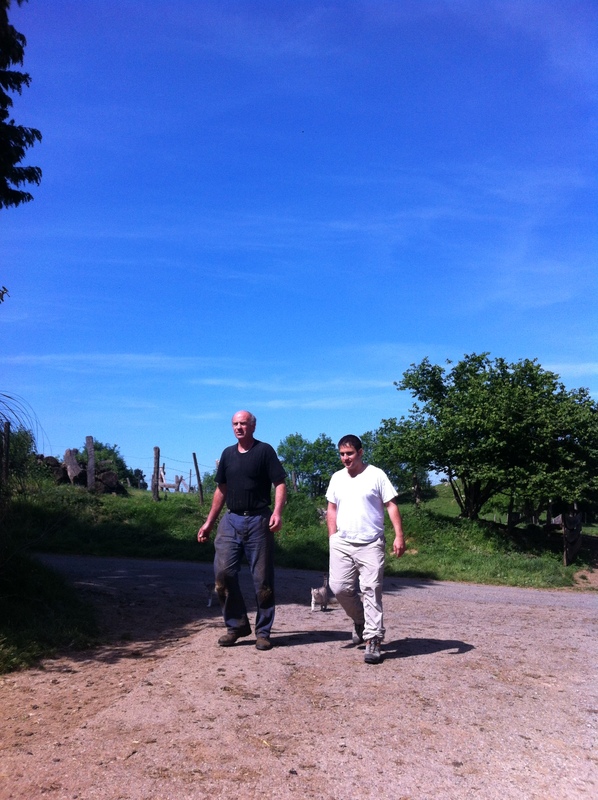 We arrived by 7:30am for the morning milking , a semi-automated process that put us face-to-udder with the Latxa sheep. Once the entire flock had passed through the milking room, eighteen at a time, then Elisha and I helped Tere with the cheese making. Pedro and Elisha discuss the life of a pastor. When I asked Pedro why they hadn’t mechanized the process, he said they have never needed to do so. They are happy with their level of production, which suits the size of their flock of sheep. Additionally, Pedro says, their low overhead and small production has left them better able to cope with the economic crisis here in Spain. Pedro never tired of discussing, sharing and teaching us about his profession. Their sales have stayed about the same as always, and Tere and Pedro seem to have avoided the precipitous fall in demand that large cheese producers are facing. 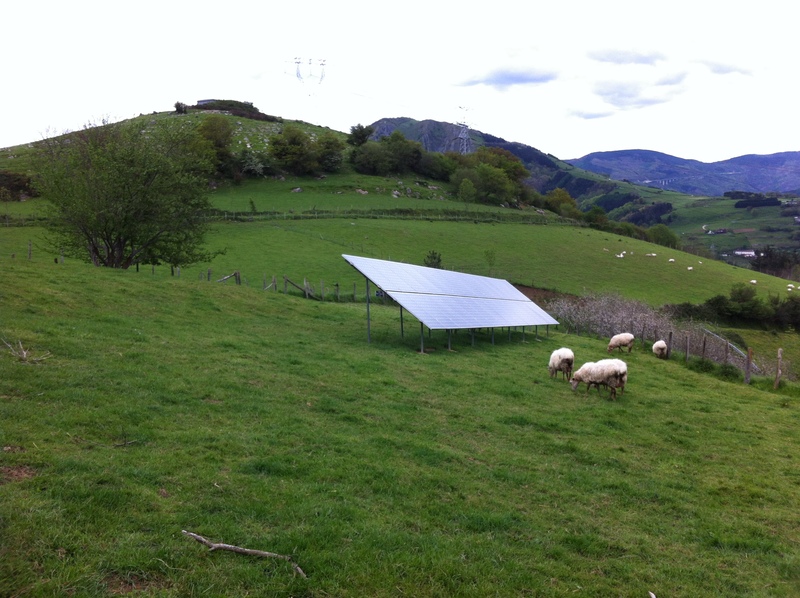 The mix of modern and traditional at Martin Txiki- sheep graze by solar panels. Our week at Martin Txiki was hard work, but there was a sense of routine, purpose and tranquility that I really enjoyed. I feel very fortunate to have spend time on this farm, and I value Idiazabal as an ingredient (and as the perfect snack treat!) 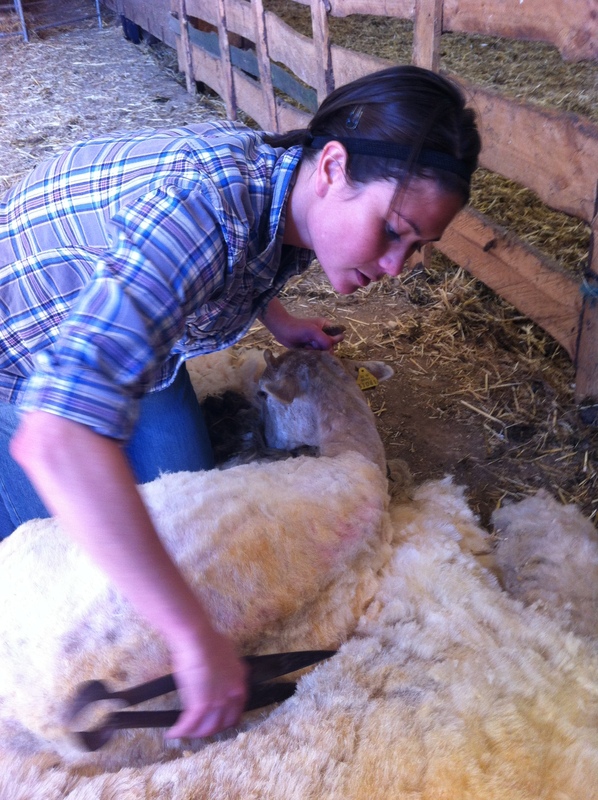 so much more now that I know how hard it is to make great cheese from one’s own healthy flock of sheep. Thanks to Javi and Josu’ from the Fronton of Tolosa for organizing our time at Martin Txiki, and a huge thank you again to Tere and Pedro for welcoming us to their caserio. 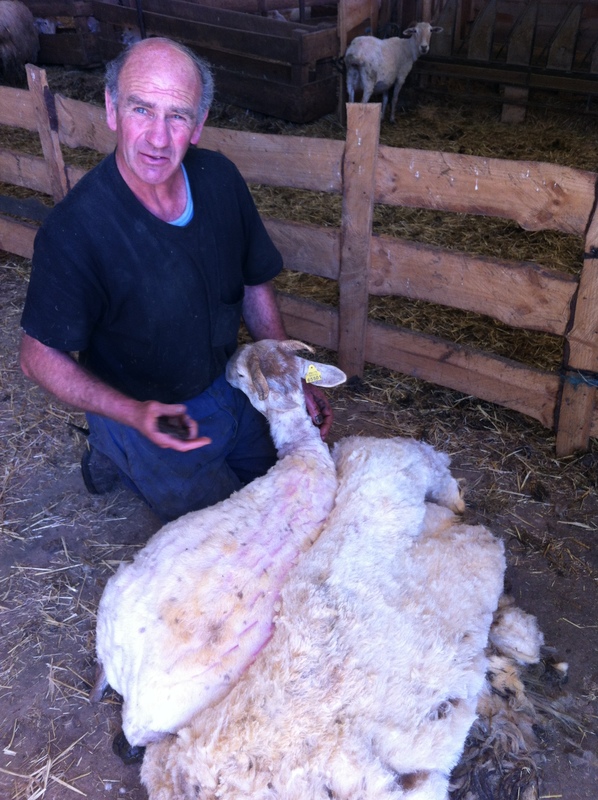 I try my hand at shearing. What an amazing life experience. 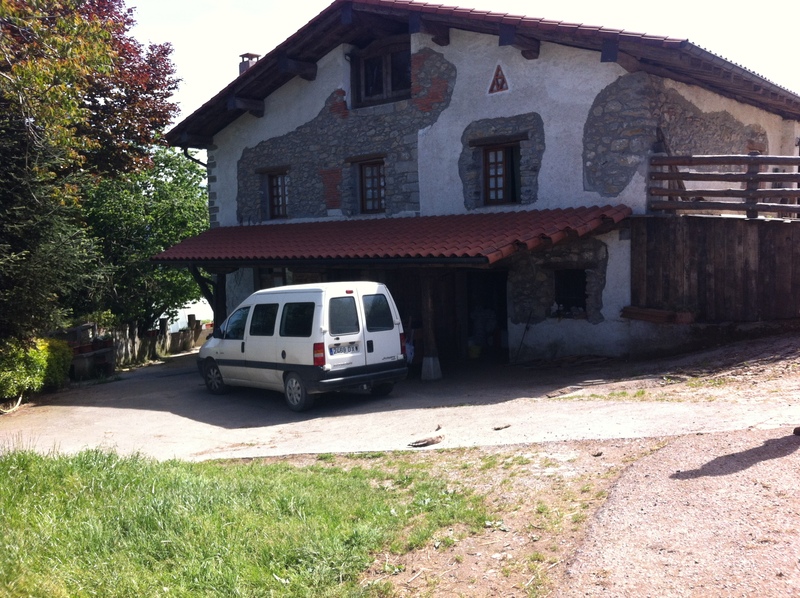 This entry was posted on June 4, 2012 by Ruthie in BasqueStage, Cheese, Quick Pic, Travel and tagged BasqueStage, Idiazabal, Martin Txiki, Tolosa.